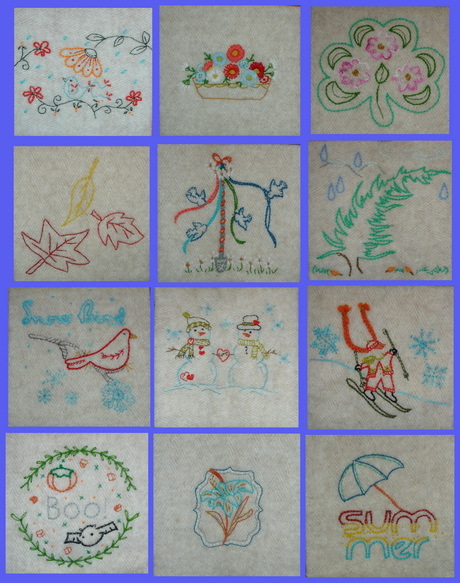 You may remember us posting stories about the 2012 Aurifil embroidery block of the month…. Judysew4th made her quilt using Cotton Mako’ 12 and a lovely linen fabric. Her quilt was finished months ago. I, on the other hand, used Lana 12, and a softly felted wool fabric, and only finished my quilt recently. 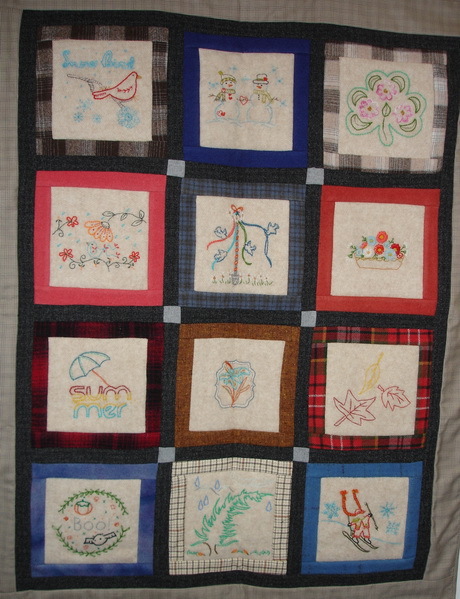 In fact, it really isn’t quite finished as it still needs some quilting in the borders. I had an incentive to get it to this point so I rushed the “finishing” to have the blocks together for a trade show in June. As the wool fabric made the blocks bulkier than the original plan I decided to keep the piecing simple. I put a frame around each and then sashed them altogether with a setting stone in the corners. The woollen fabrics used for the frames have been sourced from my stash of “recyclables’. I can see two old skirts from seventies, pieces gifted to me when friends have been cleaning out their cupboards and even a piece from my husband’s old dressing gown. 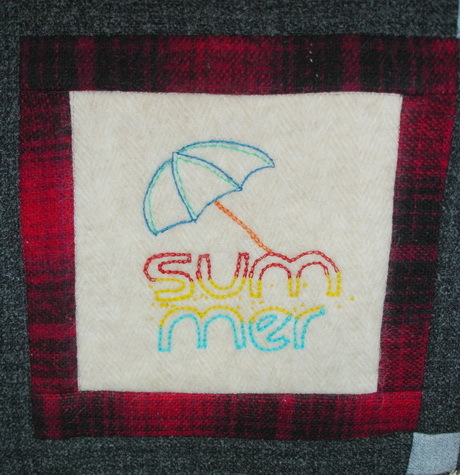 Talking of husbands, I had a light bulb moment when he asked why I had stitched the word “Summer” with a wool thread. When I explained that the blocks made up a northern hemisphere calendar he wanted to know why I hadn’t made it a southern hemisphere calendar. Duh! 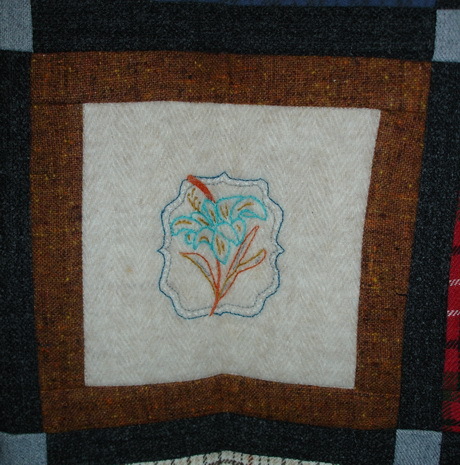 I had already changed the embroidery medium that had been used by the designers of this quilt. Why didn’t I think to re-arrange the blocks into a southern hemisphere calendar? Well I don’t plan to unpick the quilt (it took me long enough to make one quilt!! I don’t plan to make it a second time.) but I thought that I could re-arrange the blocks in a photo-montage. If you didn’t collect the patterns last year, they are still available on the website for free download. Both the Lana threads and the Cotton Mako’ 12 threads are available for purchase from our online store. It is never too late to start a new project, and this calendar is not date specific so it can be stitched at any time regardless of whether you are in the northern or southern hemisphere. Thank you Donna. They were fun blocks to stitch.